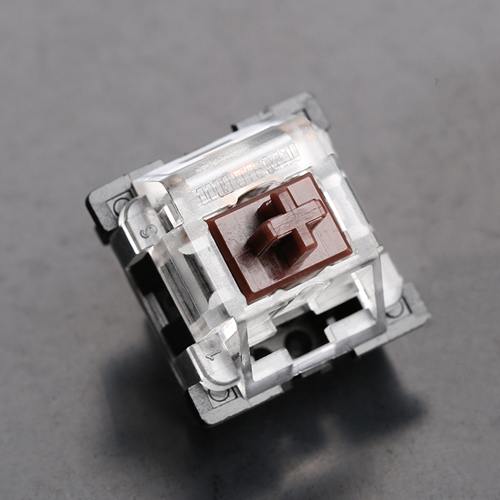 Outemu Browns showcase a force curve that is extremely similar to Cherry MX Browns, though overall force is slightly heavier. Outemu Brown tactility, which we found to be less jarring and grainy, is also notable. The extra-round tactile event occurs later than its MX counterpart. A late activation point may throw off some typists, but overall switch feel and performance are (subjectively) quite nice.